We are among the veterans in the industry for manufacturing and supplying Chat Counter for our clients. 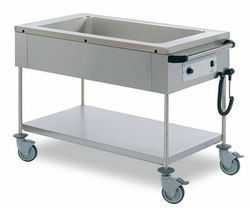 This counter is regarded for being resistant to scratches, water and abrasion. It can be cleaned easily and is durable. 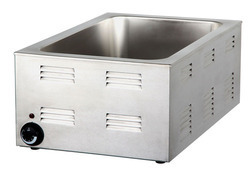 It is stylish in appearance and is demanded by the hospitality industry for serving pani puri. 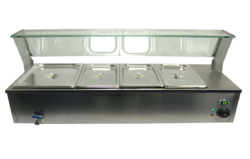 These counters can be customized as per the clients’ requirements. 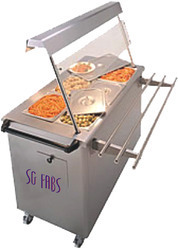 Electric bain marie Series is absorbing advantages of similar products abroad, made the design, novel style, reasonable structure with easy operation. It is with convenient operation, reasonable layout, covers less area. 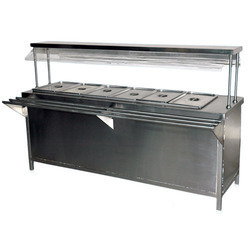 It is suitable for Chinese and Western restaurants & fast food equipment used. 1. 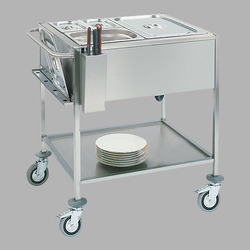 Overall stainless steel body, with stainless steel vessels. 2. 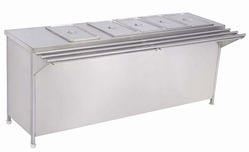 High efficient heating element, energy-saving. 3. Variable heat & auto temperature control. 4. Safe and easy to operate. 5. Factory direct sale, competitive price. 6. With grass, to ensure the food health and clean. 1. 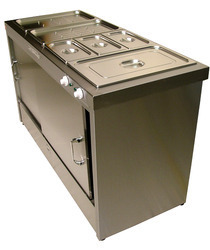 Overall stainless steel body, with stainless steel GN pans. 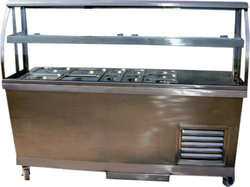 We are offering our clients with high-grade Bain Marie Counter to our clients. 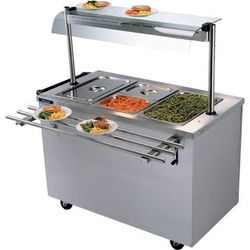 These are widely accepted in restaurants and canteens to display food. 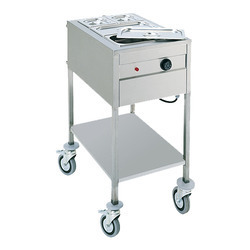 Our offered product is extensively demanded by the large number of patrons. 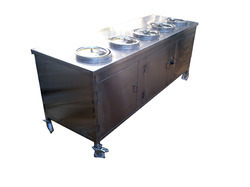 Juice counter offered is available in different design options and find extensive use in restaurants, hotels and other places. Being suitable for storing juices, these help in maintaining their taste and freshness and can be made available in different sizes and working specifications. 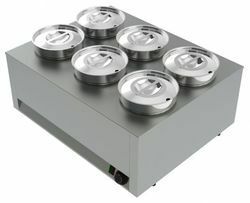 Offered in convenient to use designs, these counters provide for attractive juice display options and are constructed in stainless steel and glass finish that can also be customized as per customers specifications. 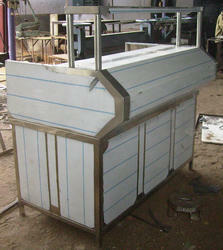 Our organization is engaged in the manufacturing of a premiere range of service counters. 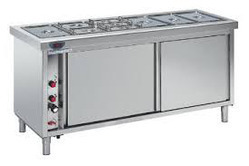 Constructed using superior quality stainless steel, the manufacturing of the range takes place as per latest industry standards. Further, our quality auditors conduct stringent tests on the array at various stages of the production to ascertain reliability and durability.